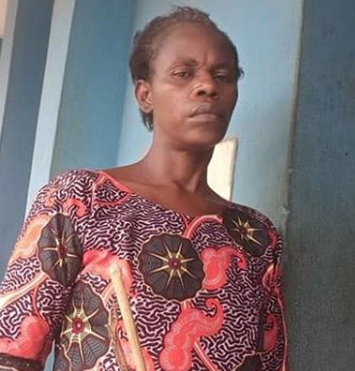 The police in Nigeria have arrested 47-year old housewife, Joy Egeonu, for allegedly beating the 11-year nephew of her husband to death on allegation that the deceased stole her N6,500. The suspect was arrested following a report by the deceased’s mother, Ijeoma Egeonu who reported at Agbado Divisional headquarters that her son who was living with her elder brother and his wife at Opeilu in Agbado was beaten to death by Joy on February 3rd over an allegation that the boy, Chibuike Egeonu stole the sum of N6,500 belonging to her. Egeonu added that the suspect later took the corpse of the boy to Ifo where she hurriedly buried him.